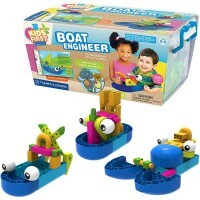 Fishing Boat by Ambi Toys is a floating toy boat equipped with 2 fishing rods to catch 6 colorful fish. 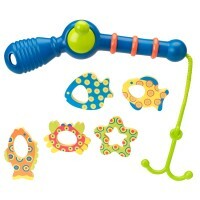 Turn bath time into fishing fun time! Fishing Boat Toddler Bath Toy by Ambi Toys is a floating toy boat equipped with fishing rods to catch colorful fish. 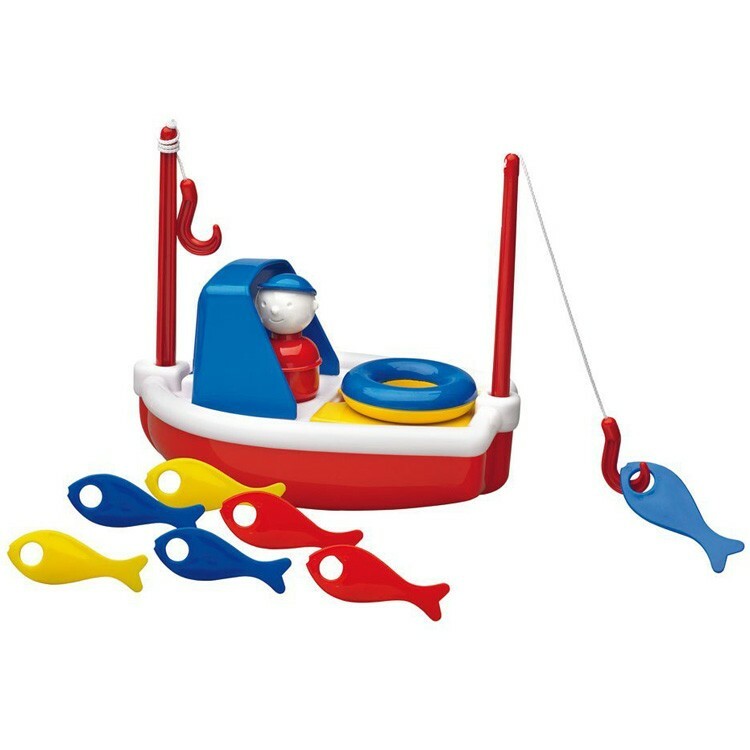 This toy bath boat features a boat captain figure, 2 masts that become fishing rods, 6 fish in 3 colors, and a steering that doubles up as a life ring just in case the captain falls in the tub. 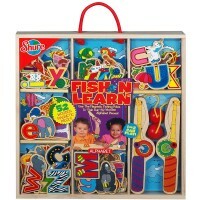 One or two toddler fishermen can play with this water fun toy in the tub or kiddie pool. 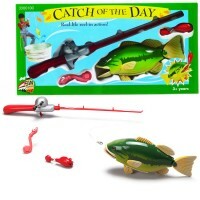 In order to catch one of the fish, kids put the hook of the fishing rod through the hole in each fishie. 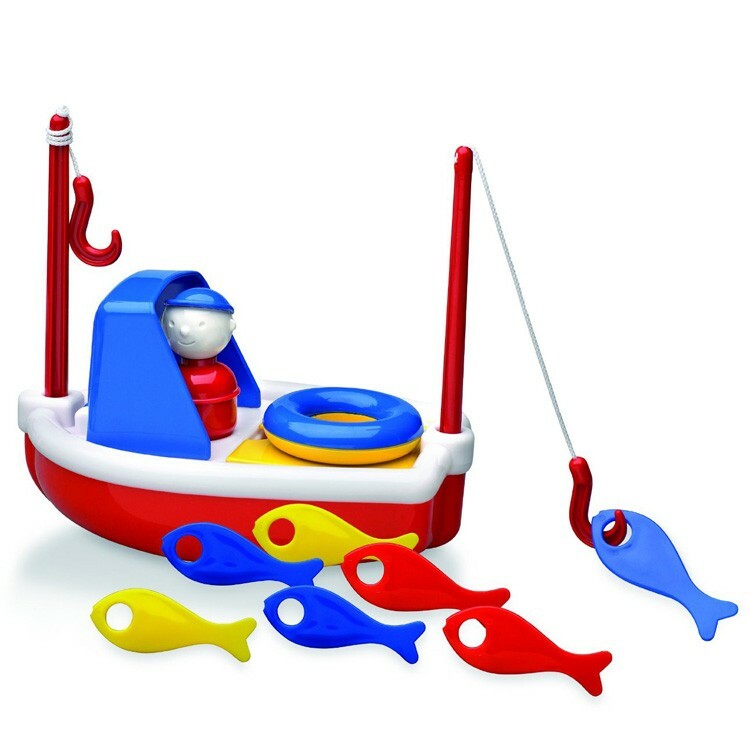 Fishing Boat Toddler Bath Toy is a great way to get your little one excited about tub time. 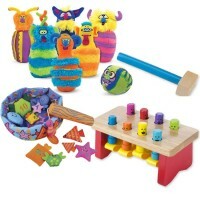 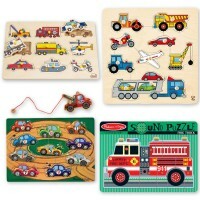 Ambi Toys company uses durable and safe materials so this bath play set is sure to last through all sorts of play. 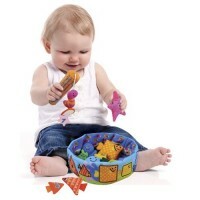 Educational Toys Planet offers this fishing bath set as the perfect way to enhance your toddler's fine motor skills, creative play and love of bath time. 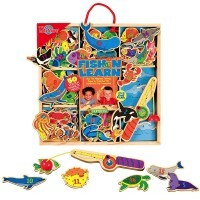 Calling all little sailors - your fishing boat awaits! 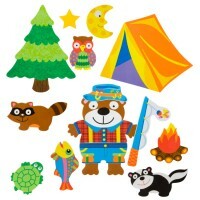 Dimensions of package 5.12" x 7.87" x 7.09"
Write your own review of Fishing Boat Toddler Bath Toy.